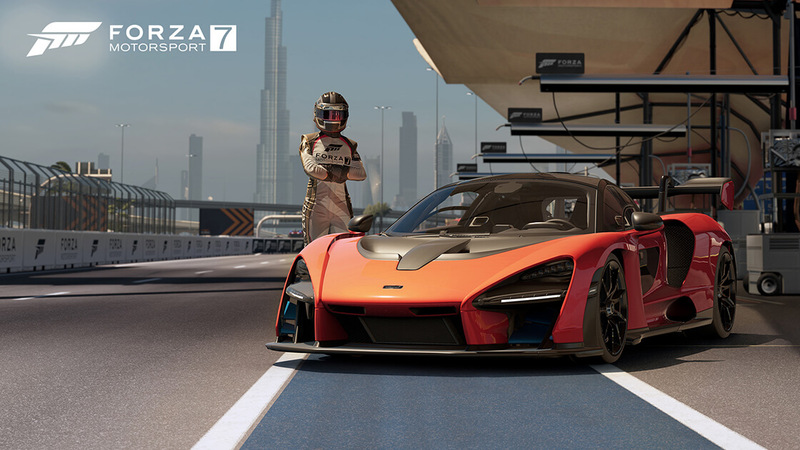 The Forza Motorsport 7 April 2019 Update features the next evolution of the genre-defining Forza Race Regulations adjudication system, alongside audio improvements, a host of unlocked Forza Edition cars and an amazing new Spotlight car that deserves to be in every Forza player’s garage – the stunning 2018 McLaren Senna, a car that should be very familiar to Forza Horizon 4 players since it debuted as the game’s flagship hero car when it launched last year. Below, we’ll have a look at everything that’s new in Forza Motorsport 7 with the April 2019 Update, available to download on Xbox One and Windows 10 PC beginning on Tuesday, April 2nd. 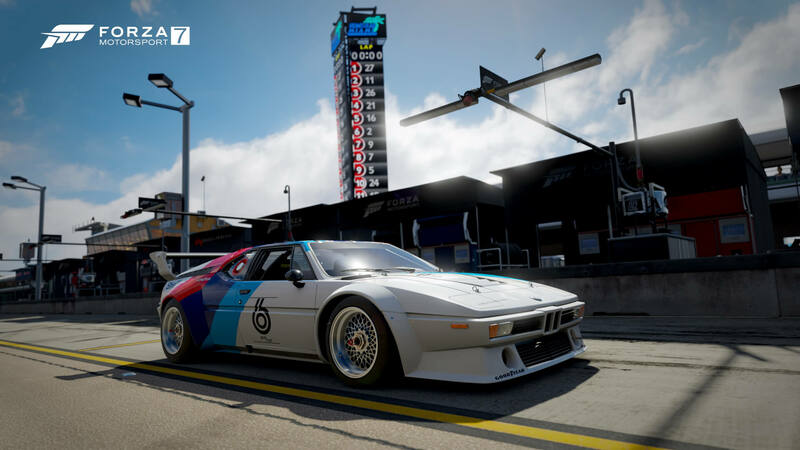 The March 2019 Update for Forza Motorsport 7 saw the introduction of Forza Race Regulations in the form of a Private Beta Hopper that was exclusive to developers from Turn 10 Studios and select dedicated players that were handpicked from the community. Whilst the team has used this opportunity to collect feedback, it has also been working on new features and improvements to the Forza Race Regulations adjudication system. 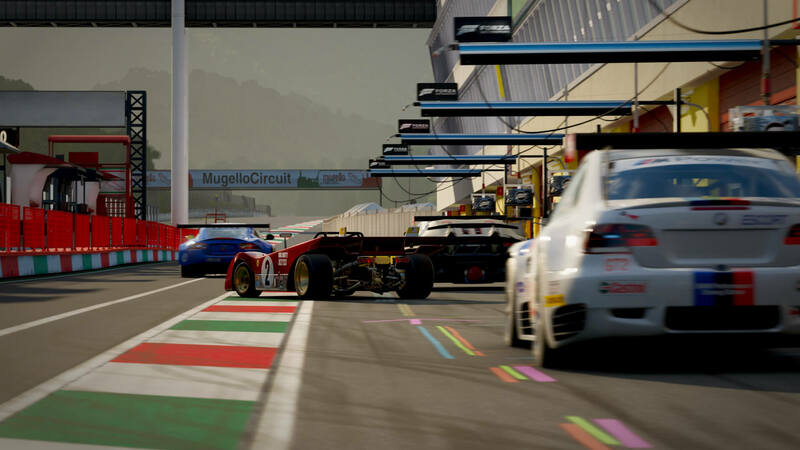 The March version of Forza Race Regulations focused on adjudicating and handing out penalties for track-cuts that provides the offending player with a potential advantage during the race. In addition to updated and improved UI elements, the release of the April Update will see penalties affect the final race results of a player on the post-race leaderboard. 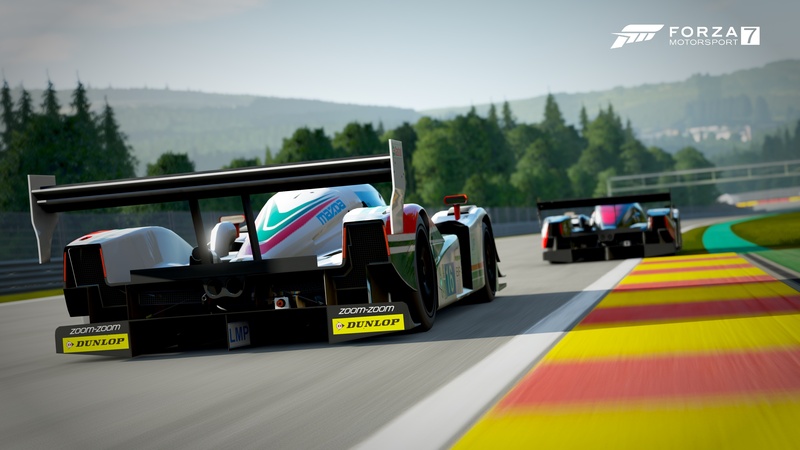 Keep in mind, however, that a player’s final position on the leaderboard in a Hopper with Forza Race Regulations enabled won’t affect their grid placement at the start of the next race. Turn 10 says this will come in a future update to the adjudication system. As for the updates being made to UI elements for Forza Race Regulations, the developer has removed the “Under Investigation” language that previously appeared and now provides a better understanding of whether a penalty has been applied or not after leaving the track. Furthermore, the post-race screen now highlights the number of penalties each player has received, as well as their total penalty time. Since penalties affect the final race positions, the post-race leaderboard screen will now also show any positions that have been changed due to applied penalty time. 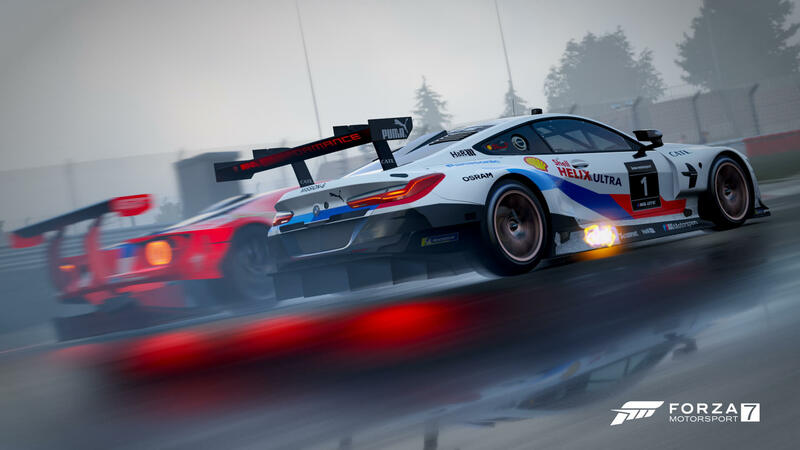 Turn 10 has also made additional behind-the-scenes improvements to Forza Race Regulations with the April 2019 Update, one of which allows the developer to make the dedicated lobby rule-set configurable on the server side instead of requiring a full title update for Forza Motorsport 7. This improvement lets the team be nimbler in setting up lobby rules for Forza Race Regulations in the future as it continues to test and develop the feature set for its adjudication system. Those eager to get their hands on with Forza Race Regulations for themselves will be delighted to hear that a Public Beta Hopper with the adjudication system enabled will become available later in April. Turn 10 says additional details will be shared on the Forza social channels and the Week in Review over the weeks ahead. Once the new Public Beta Hopper becomes available, the team will also be creating a dedicated thread on the official Forza Forums for those who wish to provide specific, constructive feedback to be reviewed by the team at Turn 10 Studios. Lookout for that once the Public Beta Hopper is enabled for everyone in Forza Motorsport 7. Turn 10 Studios has introduced some car engine audio improvements to Forza Motorsport 7, based on feedback from the community. These affect numerous cars in the game and most notably, include some reworked V12 engine audio using new source material to provide better definition between manufacturers, including Ferrari, Lamborghini and Aston Martin V12 engines. Turn 10 has also made engine audio updates to fix bugs or introduce new source material for several models, including Mazda 2-rotor engines, as well as various Porsche and Nissan models. With the release of the April 2019 Update, most of the previously locked “exclusive” cars in Forza Motorsport 7 will become available to purchase like all other cars in the game – making it easier than ever before to complete your Car Collection. 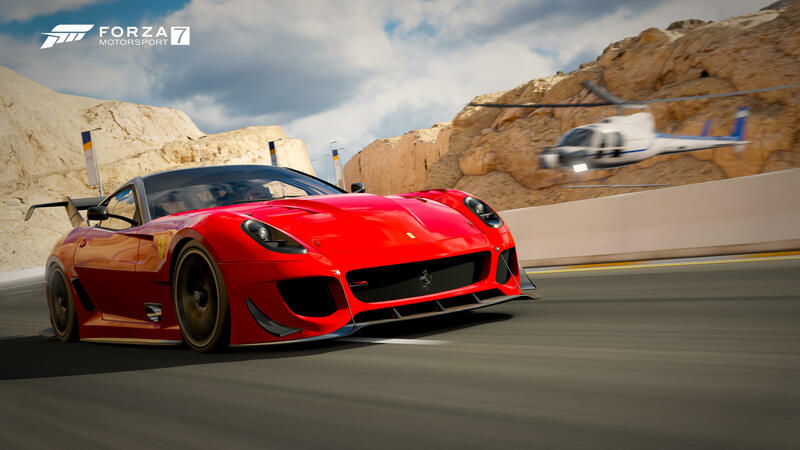 This includes the assortment of Forza Edition cars, which provide the player with a credit bonus when used in races, alongside some elusive rides such as the 2012 Ferrari 599XX Evoluzione, the 2017 Ford F-150 Raptor Project Scorpio Edition, the 1999 Lamborghini Diablo GTR and the 1998 TVR Cerbera Speed 12. Turn 10 says the only cars that remain locked in Forza Motorsport 7 will be those exclusive to pre-orders at launch, as well as any vehicles that are obtainable from the career reward structure in the Forza Driver’s Cup. 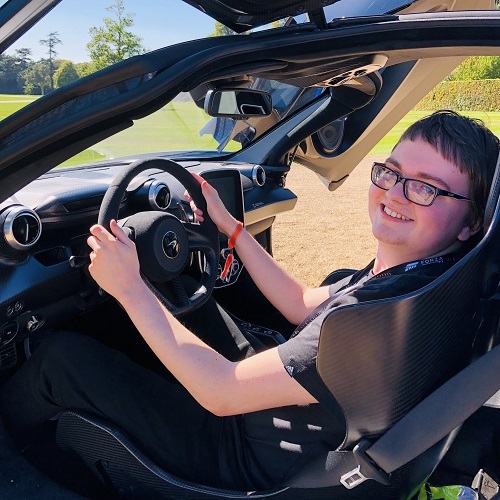 Previously, Forza Motorsport 7 featured a host of exclusive cars that could only be acquired from the campaign or by competing in community events – most of these became available to purchase with credits following the release of the July Update. This update also includes a small, but noteworthy addition to the Car Selection screen. Players will now be more easily able to find the cars they’re looking for by jumping to the manufacturer of their choice. The team has also fixed issues and made improvements to several tracks in the game, including Brands Hatch, Daytona and Rio de Janerio. These fixes can be found detailed in the April 2019 Release Notes, located on the official Forza Support website. Meanwhile, don’t miss out on the next edition of the Forza Monthly broadcast show, during which the developer will be running through the highlights of its Forza Motorsport 7 April 2019 Update. It airs at 11am Pacific (2pm EST, 7pm BST) on Monday, April 15th. 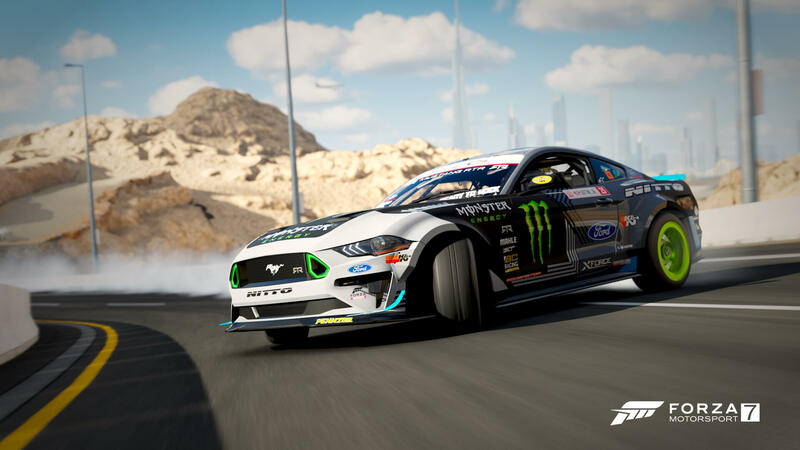 In addition to discussing the latest news from around the world of Forza, the team will also be joined by Formula Drift driver Vaughn Gittin Jr. – whose 2018 Ford #25 Mustang RTR was added into Forza Motorsport 7 in the March 2019 Update and Forza Horizon 4 with the Series 7 Update.